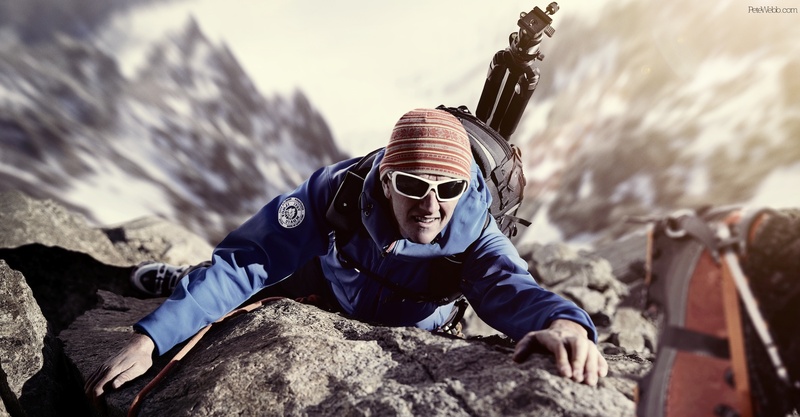 This incredible image was taken for us by acclaimed sports photographer Pete Webb on his recent trip to the Alps using Phase One equipment that he hired from Teamwork Digital. He wrote us a few words about his experience. While working for Vanguard, the tripod and bag manufacturer, I took the opportunity of being up on a glacier high above Italy to try the Phase One 645DF+ and the IQ260 digital back at high altitude. I also wanted to test shooting a comp with the camera and letting the guys at Happy Finish turn it into a masterpiece. I had previously been lent this camera and digital back by Steve at Teamwork Digital in Foley Street, London for an aerial shoot, and as I found it easy to use on that short job I was keen to try it for longer. What was apparent on the previous job with this camera was that the files it delivered were of exceptional quality while the camera and digital back system were very easy to use and could be handheld with the 80mm lens for my moving subjects. This time on the monopod I was able to keep it steadier and use the longer lenses. One very big surprise was after returning from the mountain, I had a few images shots trying to figure out the exposure for a large crevasse that were completely overexposed with virtually all the information beyond the right side of the histogram. As I had successfully had pulled back highlights from backlit snow shots, I thought I’d try one of these images and to my disbelief the Capture One Pro 7 software brought them all back. Incredible. The shadows are equally easy to haul back from the depths. 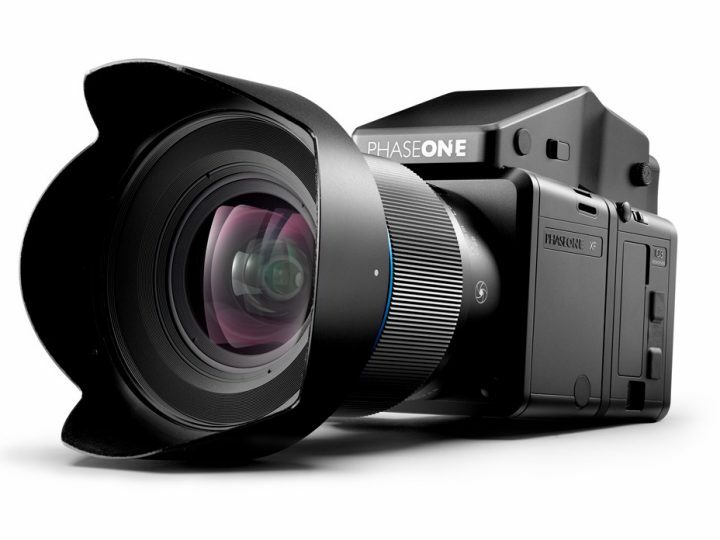 There are simply no two ways about it, when jobs with the budget come in now, this is going to be the choice camera system for me. And Teamwork Digital will be the guys to supply as they have been so helpful. Just look at the image above, I’m not sure Steve envisaged his camera going quite here and I bet he wished he put the neck strap in with the kit! 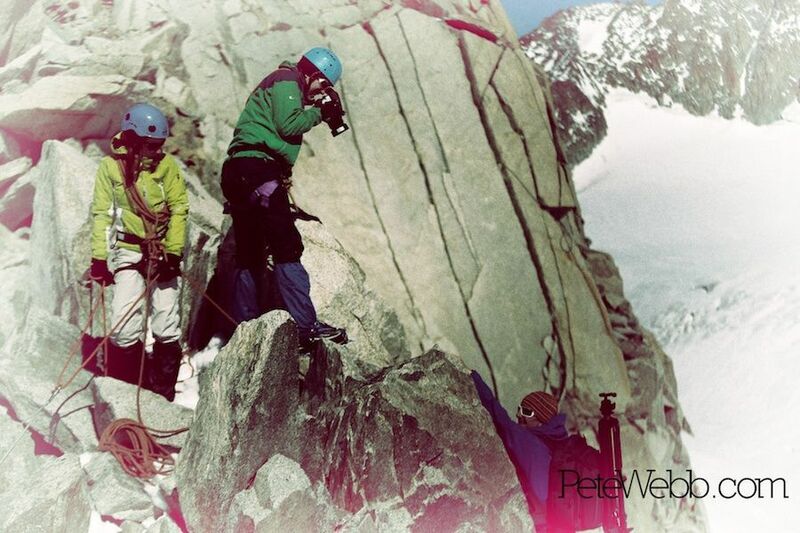 Pete Webb is one of Europe’s leading sports photographers who has a vast client list that includes Le Coq Sportif, Berghaus, Canon, the Mayor of London, Fat Face, Quiksilver, Billabong, Marks and Spencer, Bonmarche, British Airways and Microsoft. More of his work can be found at petewebb.com and he can also be found on Facebook, Twitter and Google+. This post can also be found on Pete’s blog.